The interim dividend will help Narendra Modi-led government partly bridge the deficit its budget had developed after the announcement of a Rs 75,000 crore a year cash dole scheme for small farmers. 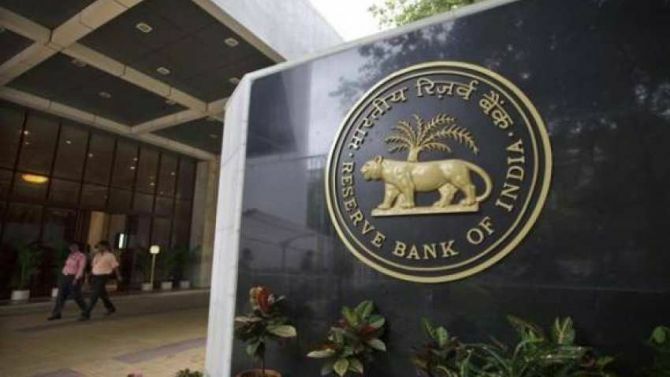 The Reserve Bank of India (RBI) on Monday announced the payment of Rs 28,000 crore as interim dividend to the government, which has been looking at resources to roll out populist schemes ahead of general elections. The RBI has in the past transferred its surplus profit or dividend to the government in August every year, including in election years in 2009 and 2014, after considering audited accounts for the year. RBI follows July to June year. The central bank in a statement said its board approved Rs 28,000 crore payment to the government as an interim dividend after a "limited audit review". This is the second straight year that the RBI has announced an advance payment to the government. Last year, it paid Rs 10,000 crore in the interim dividend in March and a final dividend of another Rs 40,000 crore in August. In August 2017, it had paid Rs 30,659-crore dividend, down from Rs 65,876 crore in the previous year. The government has been seeking about Rs 27,000 crore in dividend withheld in the past two financial years. "Based on a limited audit review and after applying the extant economic capital framework, the Board decided to transfer an interim surplus of Rs 280 billion to the central government for the half-year ended December 31, 2018," the central bank said in a statement Monday. Earlier in the day, Finance Minister Arun Jaitley addressed the meeting of the RBI's central board in Mumbai. The scheme to give Rs 6,000 in three equal instalments to small farmers was announced in the Interim Budget 2019-20 and the first instalment is supposed to go out this month. The government has budgeted Rs 20,000 crore for the scheme in the current fiscal year that is ending on March 31, 2018. Fiscal deficit for 2018-19 is expected to be slightly higher at 3.4 per cent of the GDP instead of the 3.3 per cent Jaitley had budgeted when presenting the previous budget on February 1 last year. The fiscal deficit for 2019-20 financial year also has been estimated at 3.4 per cent instead of previously decided road map of bringing it down to 3 per cent. Last month, Turkey's central bank agreed to pay an early dividend worth 33.7 billion lira ($6.30 billion) ahead of municipal elections in March seen as a referendum on President Recep Tayyip Erdogan's rule. In his address to the RBI board, Jaitley outlined various reforms and policy measures taken by the government over the last four years and the effects thereof. The central bank transfers its surplus amount to the government, under Section 47 of the RBI Act, 1934. According to the Budget document, the government expects Rs 82,911.56 crore as dividend/ surplus of RBI, nationalised banks and financial institutions during 2019-20. The statement further said the Central Board, chaired by RBI Governor Shaktikanta Das, also observed two minutes silence as a mark of respect for the security personnel killed in the terror attack at Pulwama, Jammu and Kashmir.